Awarded Wiche Scholarship to apply towards nursing school. Worked several years with the Redfield Clinic; a non-profit health clinic serving the under-privileged or non-insured patients of all ages. We are pleased to welcome Elizabeth Turnbeaugh to Carson Medical Group’s Pediatric department. Elizabeth was born, raised and schooled in Northern Nevada. She is most fond of the four seasons and the various outdoor sports easily accessible here in the high desert including downhill skiing, mountain biking and exploring the Sierras. Elizabeth and her husband love to travel. They were fortunate to have the opportunity to have traveled to Taiwan and S. Korea in May of this year. However, many weekends, you may find them traveling with their children to the Bay Area to enjoy San Francisco and its surrounding areas. Elizabeth comes to us with a plethora of health experience. From oncology to skilled nursing, Elizabeth has plenty of experience to pull from. Being a mother of two young children, it was only natural for her to find her calling in Pediatrics, where she can offer first-hand support and knowledge to the parents of her youngest patients. And, with an ability to communicate in Spanish, Elizabeth can discuss raising healthier children with our ESL patients. 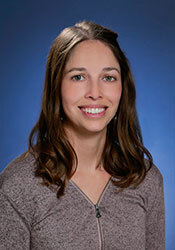 Elizabeth wants to emphasize to her patients that a healthy diet and exercise are the key to a balanced lifestyle. In this age of extreme technology, she readily reminds her tween and teen patients to limit their screen time on their phones, tvs and other devices and to increase their activity levels. The simple advice of “get more fresh air” goes a long way with her patients that are juggling busy school schedules. "I believe in pink. I believe in laughing is the best calorie burner. I believe in kissing. Kissing a lot. I believe in being strong when everything seems to be going wrong. I believe that happy girls are the prettiest girls. I believe that tomorrow is another day and I believe in miracles"